Tamper evident security seals applied to evidence bags and containers ensure evidence integrity from crime scene to court room is protected. 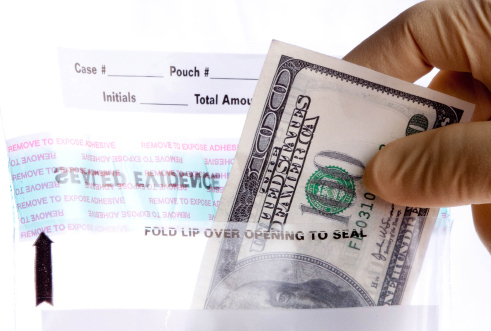 Tampertech security labels and tamper evident tapes are suitable for use by all law enforcement agencies from CSI teams, State police, Highway patrol, Prisons, Military authorities, Homeland Security and commercial organizations. Tamper evident security seals are used to ensure that areas, containers, electronics, vehicles, doors and evidence bags are kept secure and remain secure through the handling and storing of items to not jeopardize the evidence integrity. The security seals and strips from Tampertech use unique numbers which can be logged against records for cross referencing for the inventory of the evidence. To find out more about our security seals for evidence integrity please contact us.